Select Home Warranty - Nationwide Coverage With Certified Contractors Home Warranty Reviews - The #1 Consumer Research Site! Write An Honest Review Now! Select Home Warranty has received recognition for its service in the form of positive reviews and awards. It has won the Best in Service award for two consecutive years and the Editor’s Choice awards for this year. Select is a company I refer time over and over because in 5 years of service I have been treated very well, they take care of my family house problems and it's a well worth it investment. Only made one claim for a Maytag washing machine. The store that came out told me it was not worth repairing. Select offered me $350. I great offer on my model. Select was very helpful all around. I have been a member for 5 years and I will keep staying with them. They have literaly saved me thousands in home repairs. Select Home Warranty is wonderful. Select Home Warranty believes in offering plans that allow you to stop worrying about expensive repairs and replacements. The company has a vast national network of licensed, pre-approved and certified contractors. It covers anything ranging from rental properties, mobile homes, manufactured homes, single family to multiple units and condos. Select Home Warranty was established in 2012 and has its headquarters in New Jersey. 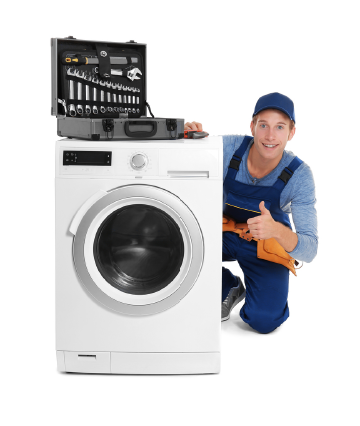 Select Home Warranty provides the best in customer support and works hard to ensure that they keep their customers happy, it is currently rated for repair quality. Using Select Home Warranty’s website, you can request for claims online. Where can I check Select Home Warranty’s reviews and ratings? Select Home Warranty reviews and ratings can be found on HomeWarrantyReviews.com and multiple other reviews platforms. However, if you are looking for complaints and are interested in knowing the status of resolved complaints, you can find them over here. Where is Select Home Warranty’s corporate office? Select Home Warranty’s corporate office is located at Mahwah, New Jersey. Who is the CEO of Select Home Warranty? Select Home Warranty’s President and CEO is Joseph Shrem. What is Select Home Warranty’s phone number? Connect with Select Home Warranty via telephone on (855) 267-3532. What is Select Home Warranty’s BBB rating? Select Home Warranty’s BBB rating is C. It is not a BBB accredited business. Would you like to submit this review as a complaint? Submit a complaint and seek a resolution from Select Home Warranty within 30 days. Check your Inbox/Spam/Junk box for an email from us. We’ll tell you how the Complaint Resolution Program (CRP) works. You may receive a response from the company within 12-48 hours. Select Home Warranty may need the following details to reach out to you and resolve your complaint. Please check this box to bring balance to the home warranty industry. By submitting the review, I agree to the terms and conditions of the page. You're all set. Now track Complaint Resolution Program (CRP) to get a status update in the next 48 hours! We do not allow short or abusive comments. Existing customers post reviews and companies respond. Contractors must post the reviews at the vendors area or contact www.selecthomewarranty.com directly. Please make sure you are an actual customer of the company, past or present. Your review is genuine and you have not been promised a reward of some kind by the company for which you have written this. This section is only for customer reviews. We do not encourage reviews submitted by employees of this company or competitors named in the review. We may withhold the approval of reviews that in our discretion do not fulfill the above-mentioned criteria.